I started by making my tree. I used the Faux Mother of Pearl technique, using gold resist for a different look. Click HERE to see my video tutorial for Faux Mother of Pearl on YouTube. I sponged two shades of green distress inks and die-cut the stitched tree. Then I tore two pieces of white card stock for my snow banks ... love the look. I used Delicata Gold ink to stamp the starry background and sentiment. LOVE this gold ink ... it's such a beautiful colour and it really shines even though it's not embossed. Simple, easy and quick CAS card that was fun to make. 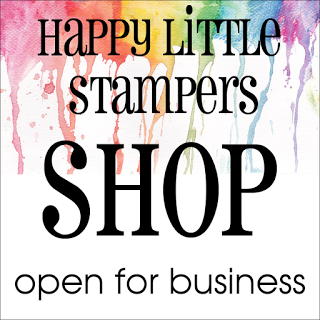 This month we're happy to have the very creative Doni (Lime Green Giggles) as our Guest Designer. Welcome to the team Doni!! Click HERE to see Doni's Star card, along with the cards from the rest of our very talented Design Team. 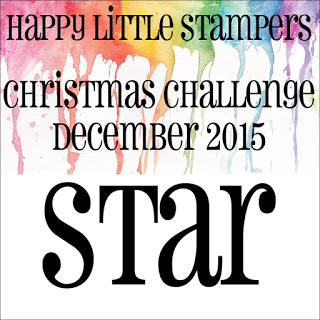 And come join in the challenge with your "star" Christmas card. I'm entering this card into ATS&M #173 - Holiday ... and my second entry into Sparkle Christmas #52 - Anything Goes. Thanks so much for dropping by for a visit! Beautiful gold stars - and thanks for the tip that the Delicata gold ink is shiny even if not embossed. And I love your tree and snowy banks. We'll miss you on the Christmas challenge DT next year but I'm sure you'll join in our challenges anyway! So pretty and starry :-) Love how you used gold ink for your faux mother of pearl tree. TFS your card and techniques Loll. I am off to spend my $20.00 gift from your awesome tag event. Thank you again Loll....for everything! I love the Christmas tree which is so beautifully painted. I love the effect of CAS, it is amazing. Adorable tree...love the Faux Mother of Pearl technique! The Delicata ink is just lovely on those stars! Beautifully done! Such a gorgeous CAS design Loll and what a great technique for the tree! 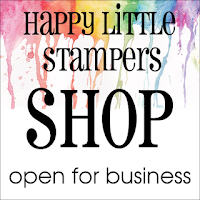 Thanks for the tip on that lovely ink - another product for my wish list I think lol! Thanks so much for all the inspiration you have shared on the challenge and I know your contributions will be missed. Great tree, and I love that look -- off to see how you did it! 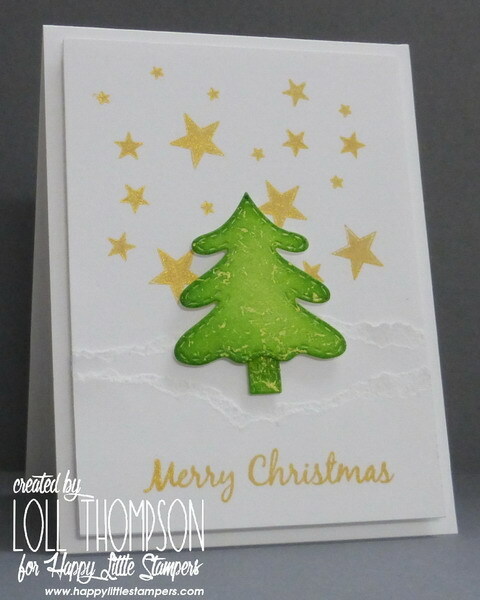 Wonderful card, love that green tree, looks brilliant. Love how you did the FMOP with the gold! It makes such a pretty tree with the golden stars over it! I love this card LOLL... it is gorgeous.. the tree really makes the stars POP.. I love how the gold sentiment ties it all together! I love the idea of torn snowbanks, Loll. I'm sorry you're leaving the DT but I can see how too many can be difficult to keep up with and still have time to make cards just for the fun of it. What a lovely wintry and starry wonderland you've created! Gorgeous...especially the tree! What a fun card, Loll--beautiful tree!